Here is a great sandwich idea for lunch or even for dinner with a side salad would be great (moderated from one of the sandwiches they sell at my school). This sandwich is delicious and a great meal when you have leftover meats you need to get rid of! You could even switch it up and use beef, but I like the roast beef version. You can now buy roast beef from your deli counter so you don't need to make a whole roast just for this one sandwich. 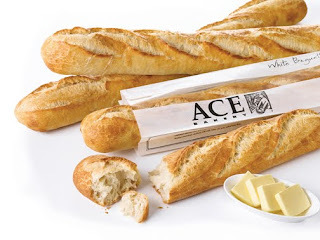 Try and find really nice baguette, it makes all the difference for a delicious sandwich (I recommend ACE bakery).